The Caprice, with architectural distinctiveness abounds in this beautiful floorplan. This single story home includes 3 bedrooms, 2.5 baths, study,game room,open floor plan with the wet bar directly off the kitchen. 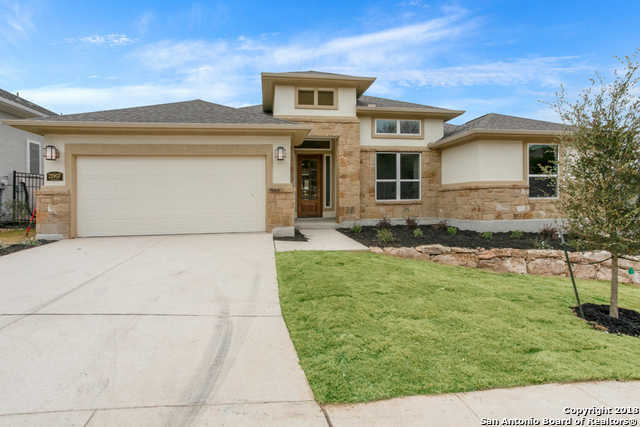 Must-have features like a Rheem tank-less water heater, fireplace in family room, beamed ceiling in the great room, extended covered patio, mud bench with cubbies, hardwood flooring,granite countertops, Bosch appliances. Please, send me more information on this property: MLS# 1307150 – $529,990 – 21907 Rugged Hills, San Antonio, TX 78258. I would like to schedule a showing appointment for this property: MLS# 1307150 – $529,990 – 21907 Rugged Hills, San Antonio, TX 78258.